On March 28, 2019, the North Carolina Department of Commerce announced that Elizabeth City, North Carolina will receive $200,000 to support a downtown revitalization project from the Main Street Solutions Fund. Elizabeth City’s award will help preserve a historic building and create a new event space for the community. 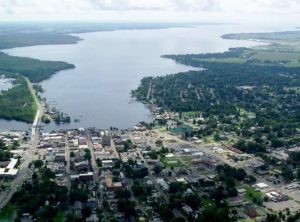 Aerial photo of Elizabeth City by anonymous via Wikimedia Commons. Restoring and filling vacant and blighted buildings is a big step in rebuilding any community, especially a downtown. The awarded project will support Seven Sounds Brewery, LLC, a brewery and upper level event space, located at 112 North Water Street in the center of Elizabeth City. The company has purchased a long-vacant, three-story building in downtown, on the waterfront. The exterior of the building will be renovated to its original historic state, which involves removing a third floor addition added to the property by a previous owner. The brewery will operate on the first level, with an outdoor patio area on the water and an upper level deck with a water view. A key aspect of the project is a transition of the second level into a 7,000 square-foot event space. Event space in downtown Elizabeth City is currently limited, with no space available directly by the water. “This is a terrific project for downtown Elizabeth City and we anticipate it will spark additional building renovations and new business development for years to come,” said Liz Parham, Director of the North Carolina Main Street and Rural Planning Center. 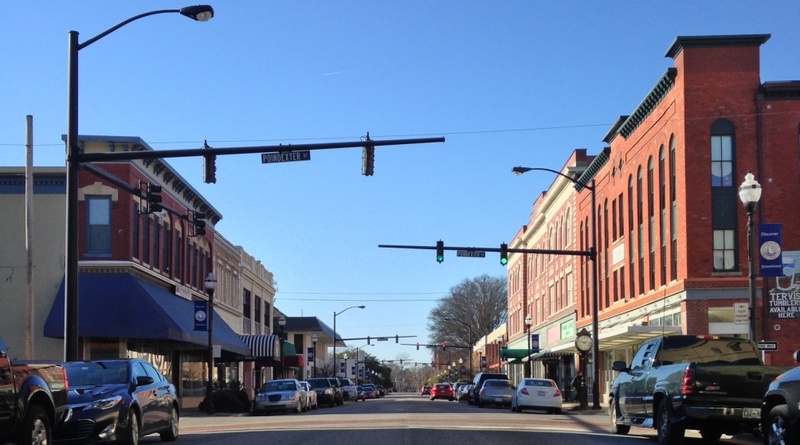 North Carolina Main Street and Small Town Main Street communities have attracted $2.98 billion in public and private investment and a net gain of 24,883 jobs since the program’s inception in 1980. Elizabeth City is an Accredited Main Street community successfully following the principles of downtown revitalization championed by the National Main Street Center. The comprehensive approach, known as the Main Street America program, identifies economic development strategies to transform downtowns through action in economic vitality, design, promotion and organization. Photo of Elizabeth City’s Main Street is by Tyler Newman via Wikipedia. Learn more about the North Carolina Main Street program and the Main Street Solutions Fund.